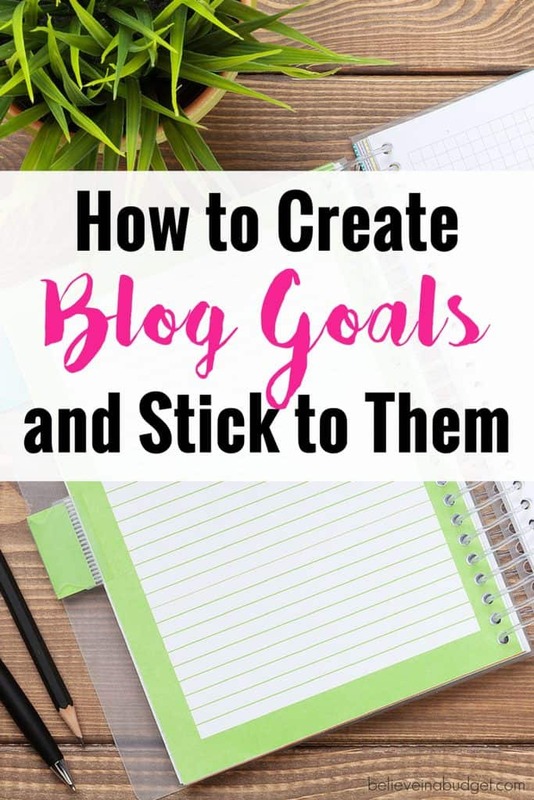 It's time again to review my blog goals. Somehow the second quarter has ended and it's time to see if I hit my goals. I also like to share what worked, what didn't work and what my goals are for the third quarter. Let's review my blog goals I set for the second quarter. I kept my goals short and sweet, lol. How did I do? Let's review. Success…kinda. I purchased a course on how to write better funnels and it really opened my eyes to what I was doing wrong. Email funnels are essential to run a more passive income for my business. I also use ConvertKit, which is essential for creating amazing email funnels. 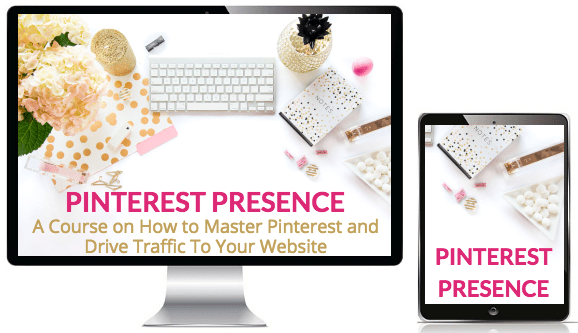 Reader opts-in to receive my free mini Pinterest Presence course. Over a 2 week period, reader will receive 7 emails from me educating them how to use Pinterest, mistakes to avoid, how to make great images, etc. In those 7 emails, I'll mention my Pinterest Presence course. Reader decided to purchase my Pinterest Presence course because they are tired of BS'ing with Pinterest and just want to crush it. Success! Reader isn't sure they want to purchase Pinterest Presence. If they decide not to, they are rolled into my regular newsletter after the free mini course ends. *However, if I am working on anything Pinterest related, this reader has been tagged that they are interested in Pinterest, so I will include them on a special newsletter I send out. The best part of creating email funnels is that everything is automated. I literally don't have to do a thing, which makes all my sales truly passive. The funnel theory works and I am getting sales, which is awesome. I just want to get more sales, which means I need to work on my strategy a bit more. Success! I am very happy with my Pinterest Presence course. I held two webinars with my girl Allison at Frugal on the Prairie to share our courses, educate viewers and answer questions. Both were a success and really helped me grow my business. I'm kinda shy, but the webinars are a blast. It's really fun to connect with other people online. I'm also enjoying being able to talk to so many people at once and let people hear me! Reading blog posts are great, but I like that viewers can see some of my personality and be a little more relatable. Success! This blog goal is a goal that I wanted to carry over into real life. I've become more active in my city's community. I made a couple new blogger and business friends, which has really helped my work productivity and motivation. Once or twice a week, I meet up with a couple of other ladies at a coffee shop. We all work on our own projects, but are there to support each other, vent, share our success stories, and more. Working solo from home can get lonely, and this has been great! I also participated in a local event put on by the Chamber of Commerce, as well as spoke – yes, you read that right – SPOKE into a microphone – at a local financial event for entrepreneurs. Incase you were wondering, I spoke about how I was able to walk away from my full time job to blog full time thanks to side hustling and starting a Pinterest management company. Yup, I got real and shared my journey with a room full of people. Eek! This is going to sound weird, but the more I blog, the less I care about things that I thought mattered. What does that mean? Well, I used to be obsessed with numbers. I thought numbers were the end all, be all, and it turns out – do numbers really matter? Social media following. Nothing crazy to point out here. I rely on organic growth and don't have time to play those games of following 1K people in hopes that 100 people will follow me back. I recently hired a VA to help manage my Facebook page for BIAB. Honestly, I'm not that into FB and it's worth paying her to handle all of my scheduling so I don't have to deal with it. I've got Twitter and Pinterest under control, but Facebook was a struggle. I feel much better having someone handle this. Pageviews. Ok, I still care about this. I'm always working on increasing my page views. While I've always preached that you can still be really successful with any amount of page views, higher page views can increase your chances of selling more products, higher ad revenue, etc. Google Analytics. I'm still a big fan of GA. Outside of tracking my top blog posts, traffic, and traffic sources, I don't really care about bounce rate and all those stats. One major thing I've noticed is that once I stopped caring about stats and numbers, I felt a lot more comfortable and less stressed out. The first year or so of blogging I was obsessed with numbers, like they defined me, and now I'm like, eh, whatever. Maybe because it's summer, or maybe this is how things are supposed to go, but I find myself blogging less but still making more money than before. How is weird is that? I've been kinda tracking my hours, but when it comes to the blog itself, I'm working like four to six hours a week on my website. Most of this time is spent writing a weekly blog post, a newsletter, then responding to comments (I respond to every comment on this site, it's my fave part of blogging) and finally doing back end stuff, like adding an affiliate link or something. But that's it. I feel like that's a ridiculously small time to be on my blog and it's making me money. Compare this to a year ago when I was still at my full time job and spending like 3-4 hours a day on my blog trying to grow it and make a profit. Maybe that's how things are supposed to go? I mean, I've been working for months to have a system in place, work on passive income and that's happening. It's just weird because I feel guilty like I should be doing more. One way I am staying is busy is working on projects, aka courses. 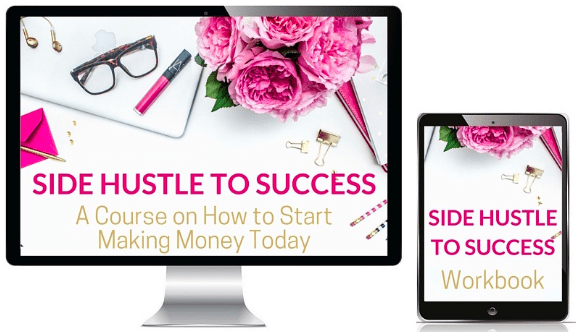 Right now I'm wrapping up the finishing touches on converting my Ultimate Resource Guide ebook into the Side Hustle to Success course. I'm also working on a million other projects that are keeping me busy. It's so nice to have the blog being self-operating right now so I can work on my own thing and be creative. The best part about all the above? I've been doing a lot of this while on the road. I've been traveling and staying busy, and I love that I can work when I want to, from anywhere and can do my own thing. I have big goals happening for the rest of the year. The first and second quarter were a lot of prep work – now I feel like I'm in the action zone. This was a goal I set for myself at the beginning of this year. Yeah, it was a lofty goal. But I knew I wanted to hit it big this year. I'm on pace and am going to accomplish this. I can't share everything I'm working on yet, but I'm pretty excited about it all. Writing is my least favorite thing, ha! Unlike many bloggers, I am not a writer. It takes me a while to put together a blog post. Since I'm only writing one blog post every week or every other week, each blog post is crazy long, usually around 2,000 words. While writing a blog post is great, I want to be more interactive. I have no desire to start a podcast or anything like that, but I'm working on ways to share my voice with my readers so they can get to know me more. One of the best things to come from doing two webinars were the emails I received after each one. It was really surprising to get emails from readers saying they liked how fun it was to actually see me, and how much they liked watching the webinars because of my personality. This is great, because sometimes how others interpret a blog post is totally different than how I feel writing them. It's nice that readers can see how I act and then can relate to my blog post a little more. I plan on spending August updating my website. I really want to make some changes and have been making a list of things I like and don't like about my site. Right now I'm using LeadPages and ConvertKit with my blog, as well as the Teachable platform. I need to focus on creating a consistent brand with all these different platforms and tie it all in together. It just feels too scattered right now and all over the place. I'm ready to change things up that will stop annoying me provide a better experience for readers. Get excited! I am so excited with this course. Back in January I released my side hustle book and now I'm ready to convert it into a course. In addition to the exiting material, I've been able to add several new areas of side hustling that will really be beneficial to others. My favorite part about the course is that it doesn't just give you ideas – it provides you direct links to all the companies I have worked with. If you want to learn more about this course, you can do so here. What are you working on this quarter? What did you accomplish last quarter? I felt myself breathing a sigh of relief when you mentioned you don’t even stress out about the numbers as much anymore (Alexa rank, bounce rate, etc). I still stress about these and don’t fully understand what some of those numbers in GA mean. So if someone successful like you Kristin isn’t wildly concerned about it, I guess I could be too! Ha! I used to define myself with my numbers and that is so silly! It’s definitely not the end all means to being successful, that’s for sure. I think now I’m focusing more on my interaction with readers and conversion rate! I’ve been blogging on and off for so long, but since reading your blog I’m working at monetizing. You have helped me stay focused and given me lots to work on. I’m having fun making Pinterest pins – actually I’m embarrassed to look back on old pins. Next up is redoing those. Keep up the great work. Great post! Thanks for the inspiration Kristin. I am so hating my job! And I’m ready to get started with a blog and side hustle so that I can QUIT MY DAY JOB. This is my dream and what I’m going to really focus on right now. Thanks Sharon! It took me roughly 6 months to go from starting a blog to giving my notice at work. I stayed on with my job for another 90 days but that gave me plenty more time to save money. I really think anything is possible as long as you are prepared! GOOD LUCK, you got this! Super happy for your Kristen! I’m going to wait a bit for my new blog before I create a course or product. Love hearing your goals and how you’re accomplishing all of them. Thanks Elna! I didn’t know if I could pull it off either, but it’s all worked out much easier than planned! Great job lady!! You are so incredibly focused and driven. I’m really impressed. And congrats on getting over your fear and speaking into a mic! I don’t have any major goals this month except to keep saving and keep trying to keep things simple, stay healthy, etc. I do have my upcoming trips of course, and can’t wait to meet you! Yippee, can’t wait for you to come to Nash!